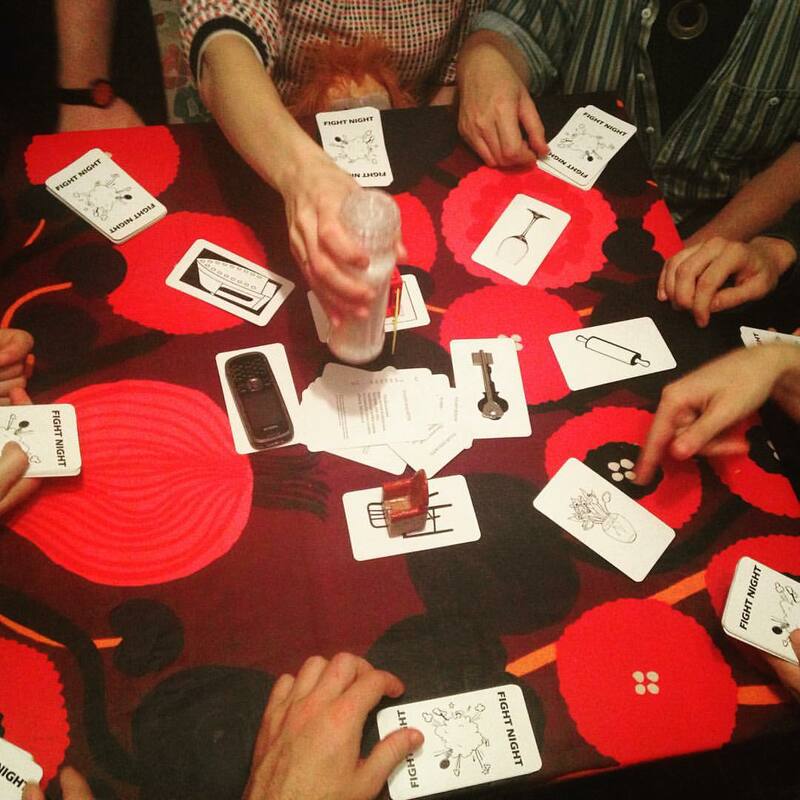 Yesterday was exhausting -- alpacas, exhibitions, and an insane card game, to name just a few things. But today brings even more activities, including the first night of the Pixelache Festival Clubs, a barbeque, an experimental knowledge production laboratory, and the tram! Yes, the tram starts today. It will run from 13:00 - 17:30 in three long and strange loop-patterns. We have a route map and the full timetable here, though we must emphasise that the times may very slightly. On the tram are installations by Roberto Pugliese, Andy Best, Victor Khashchanskiy, and Merja Puustinen. We also serve free coffee and juice, thanks to the good people at Gran Delicato and Taidelinja. Today How To Inhabit a Transitory Space remains open for your input and interactions. At 17:00, Kasper Kristensen from the University occupation will turn up there to talk about the changes that will affect Finnish higher education because of the proposed governmental policies. HiTS is open 24 hours per day, until 18:00 Sunday. You can read an interview with Egle here. Lotte Bender's Street Line Critics - On Tour continues today in the tunnel underneath Kulosaari metro station. For the next three days, Lotte will be there between 12:00 and 18:00. For more about the project, check out this interview with Lotte. We're still in awe about the Recycling Olympic Games last weekend. If you missed it, the Olympic Village remains in Seppo Renvallin Puisto, so you can see the sauna, dry toilet, kitchen, two-story house, and full suite of entertainment and games created by the participants. Between 14:30 and 17:00, the village will be open as an exhibition and food will be served using the kitchen equipment built during the games. Steve Maher presents DISCORDION, a performance as part of Gaming the System, which takes place on the tram's last loop (16:00 - 17:30). There are several registration-required events today that you may have registered for - human-non-human interfaces, Our Cuisine=Our Stories, and Living Chatter. And finally, we can all unwind a bit at the Festival Club, tonight at Mad House. This starts at 20:00 and features live music from Tsembla, live performance from Keijut, and the sounds of the Krunan Keikat DJs and DJ Saatanatar. If you got a festival badge from any of the previous events, you can come for free. At the start and in-between the DJs the Living Non-Fictions will begin! Bring your festival stories, devices and artefacts for show and tell.